A few days ago I received three products from the VocalPoint InStyler program. 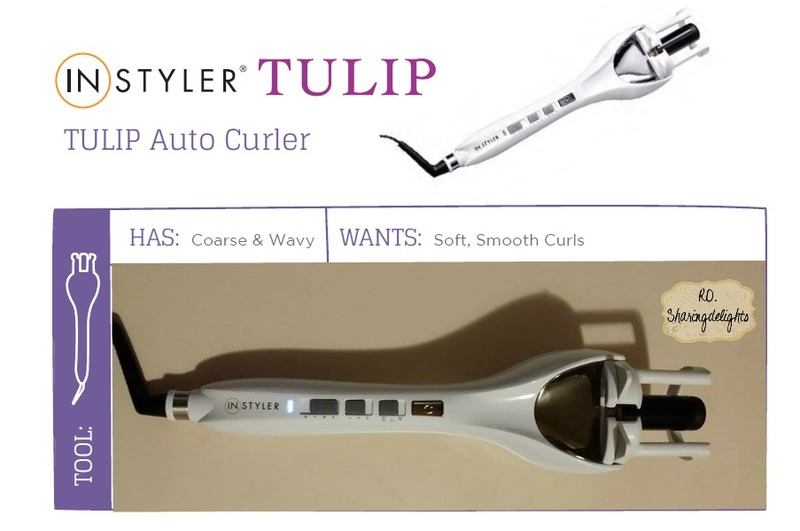 My Favorite Instyle hair tool is The TULIP AUTO CURLER, The Tulip is good for Naturally straight or wavey hair. I like the porcelain look ad feel it has, it has a ceramic barrel and a nice curved silhouette. This Tool has a anti-Tangle Technology that at first failed me because My hair did get tangled but it was due to the lack of me reading the instructions before using the Tulip. I sure you that as soon as I got familiar with the how-to-do's it was easy to manage. it took me like 13 minutes to style my hair and my curls last until the next day. The tulip comes with 3 time settings for 3 different types of curls. I choose setting 12 because I want a tighter curl due to my hair being thin it gives me the perfect bouncy curl. The tulip also has 3 heat settings from 350-430, I like to use 430 to set my hair quicker. Its so easy to alternate from one side to another with out having to fumble around with the hair tool. Last but not least the safety guard is my favorite to avoid burns..I can say I have a few burn scars from other hair tools that used before and I feel at ease the tulip has this feature. 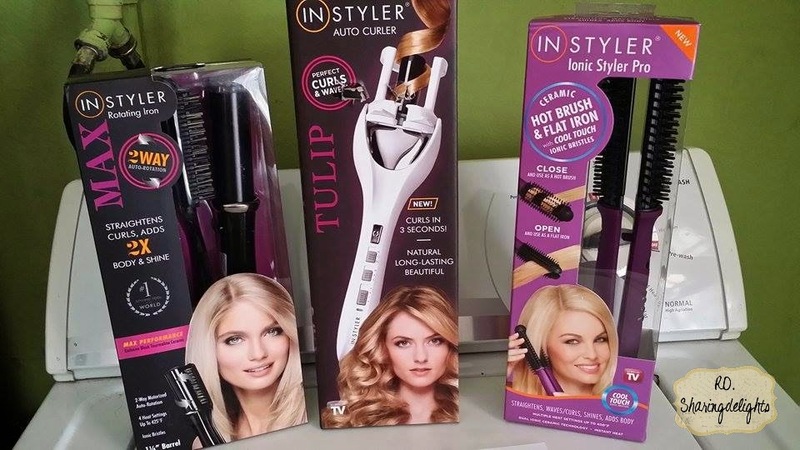 The following other Hair tools from Instyler are the MAX 2-Way Rotating Iron and Ionic Styler Pro, for more information on these 3 awesome tools head on over to https://rsvpinstyler.com/ to learn more on Instyler's and to Purchase any of the 3 Instyler tool. For a LIMITED time ONLY.. Enter the code SAVE30 for the 30% discount on the line of InStyler tools. 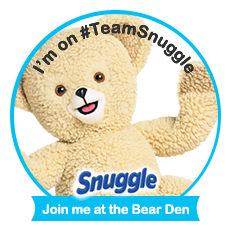 The code is good for the purchase of 2 tools through 1/31/15. 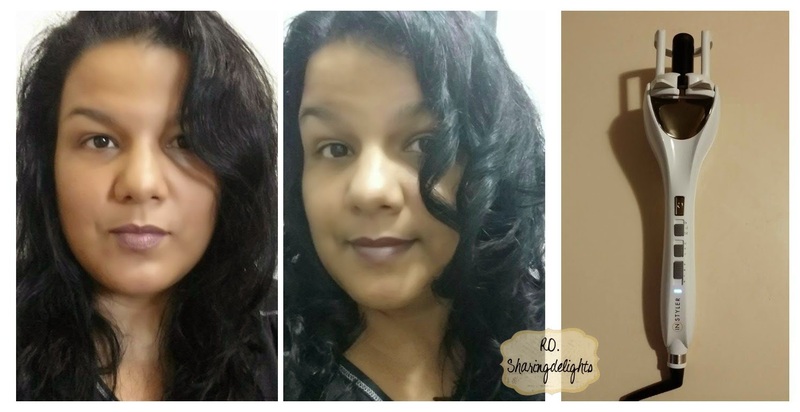 Disclaimer: I received the 3 tools mentioned above from Vocalpoint and InStyler complementary in exchange for my honest and unbiased review,This post may contain a sponsored/affiliate/referral link.